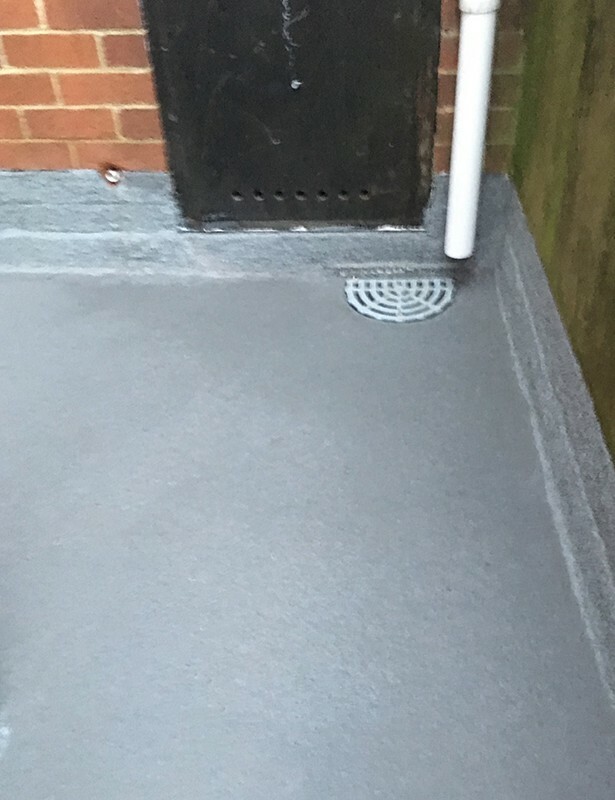 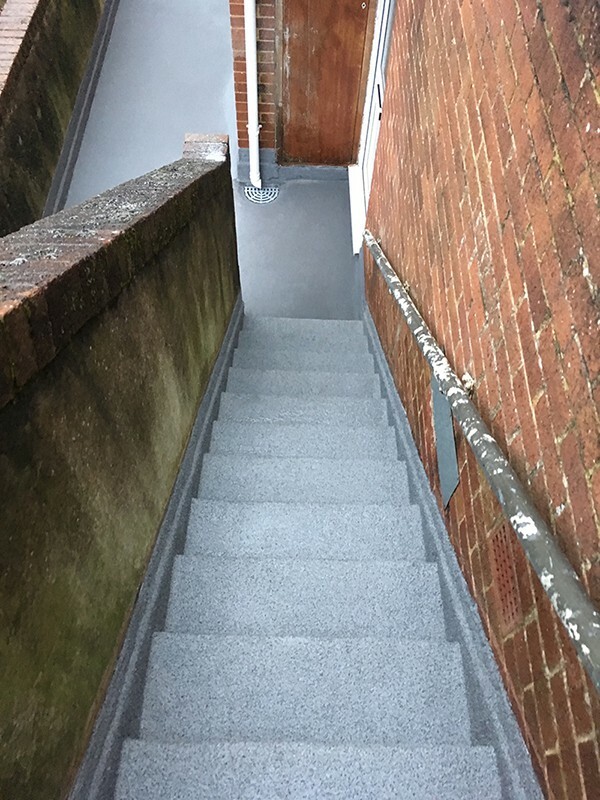 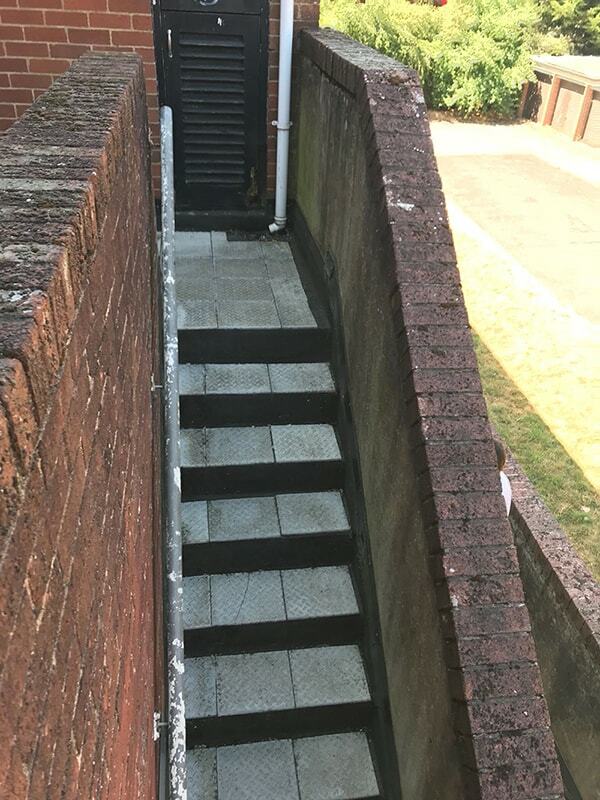 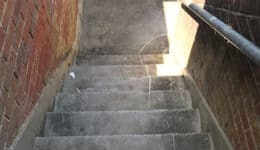 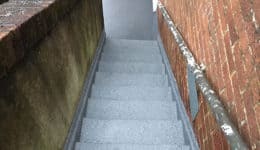 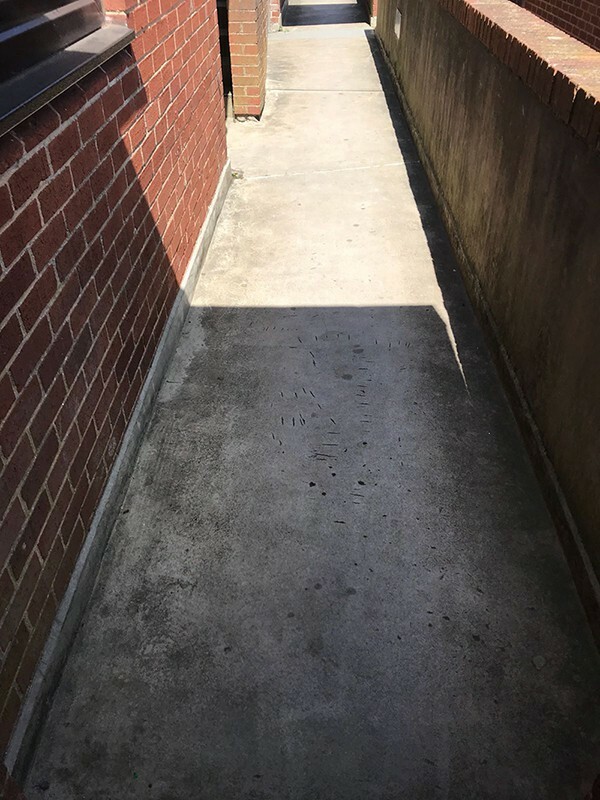 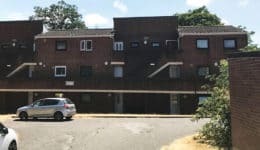 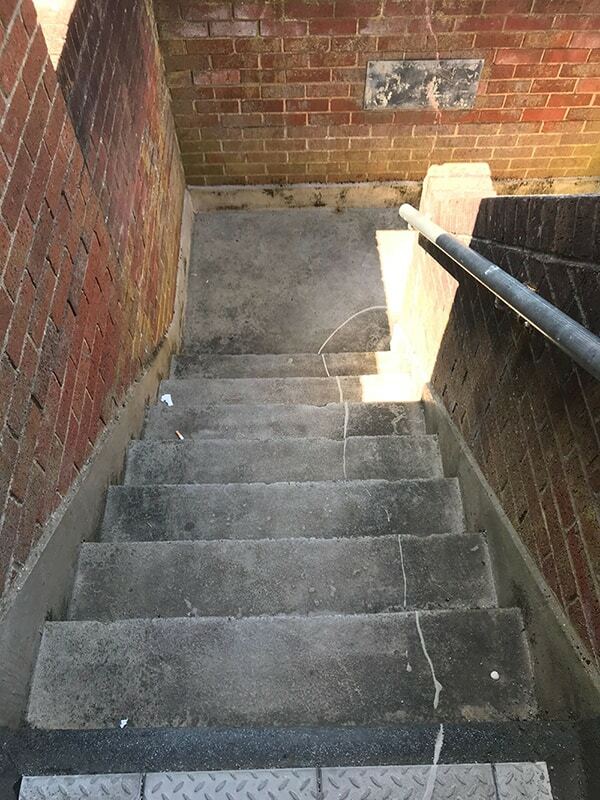 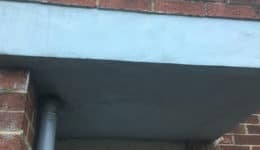 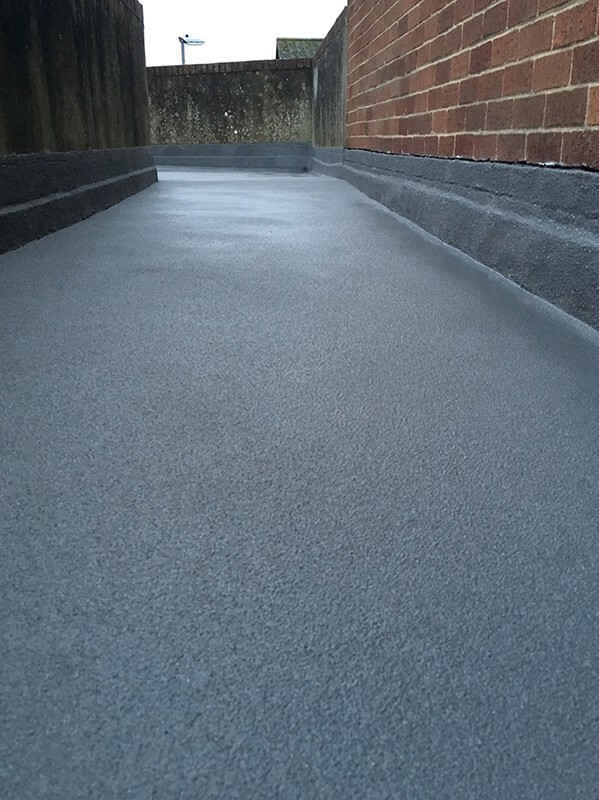 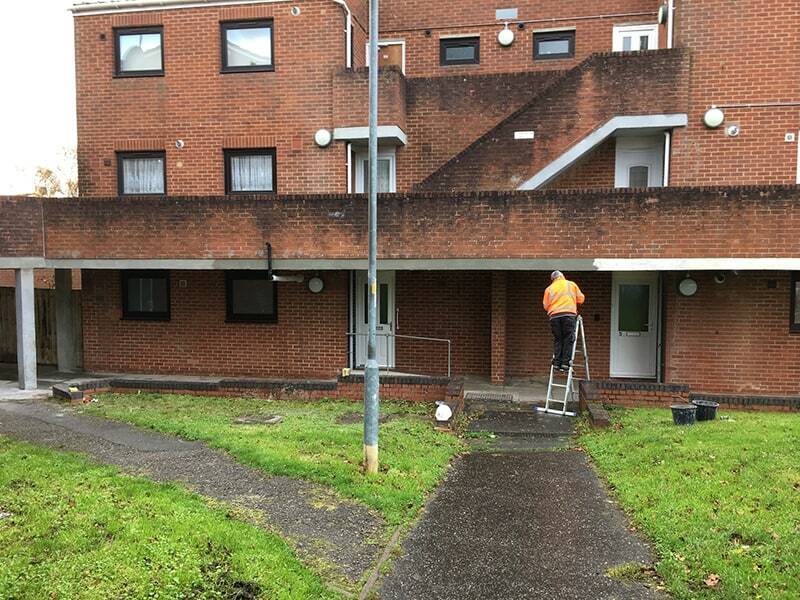 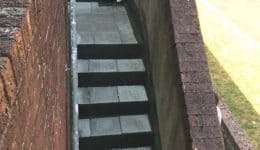 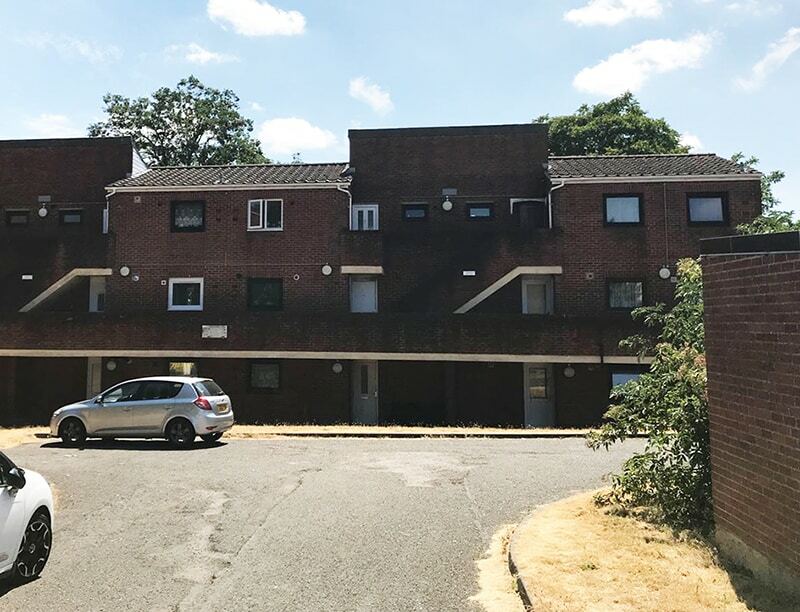 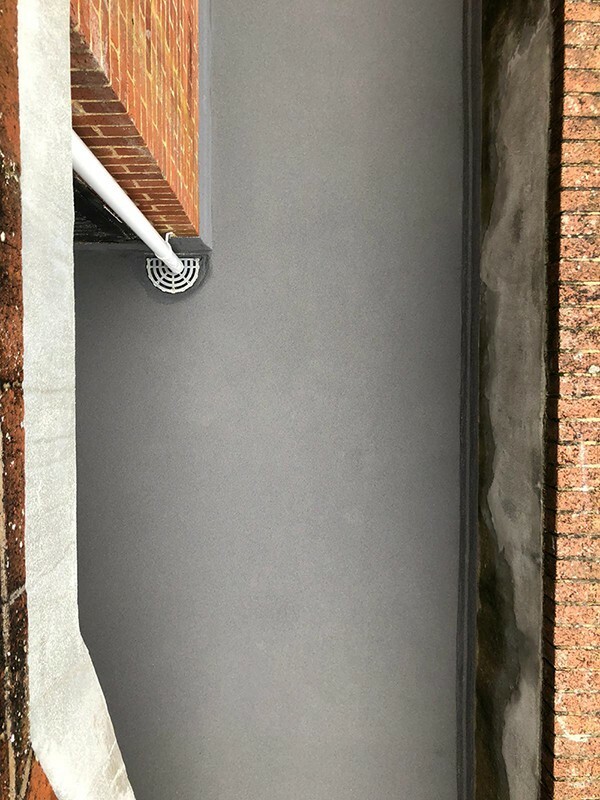 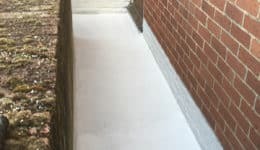 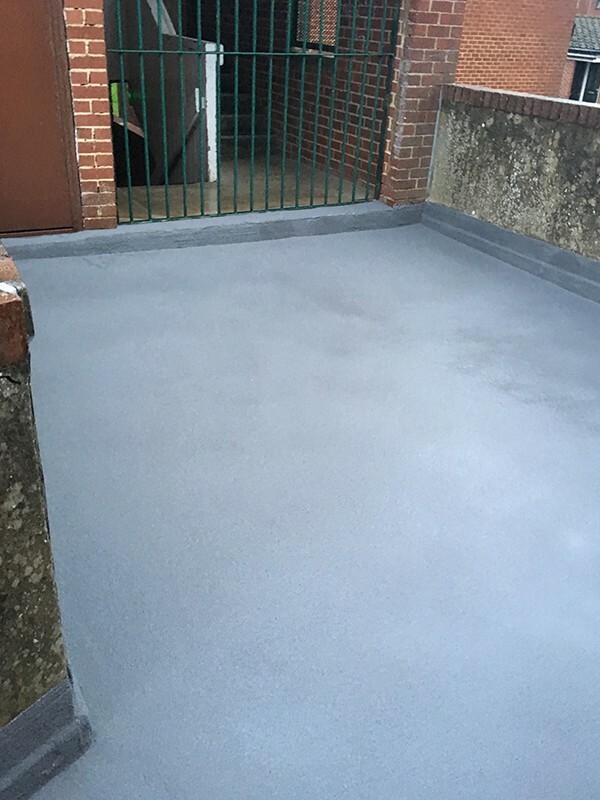 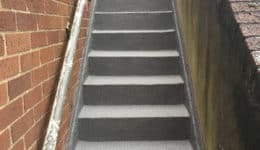 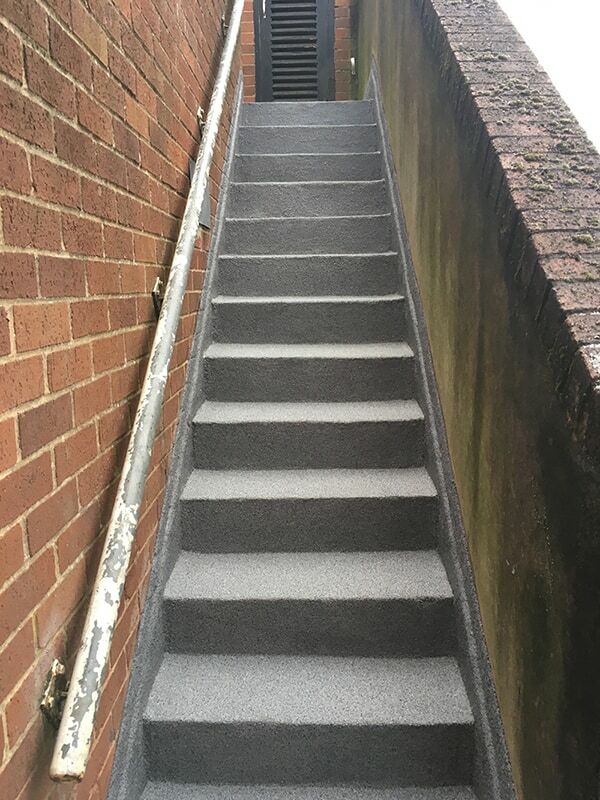 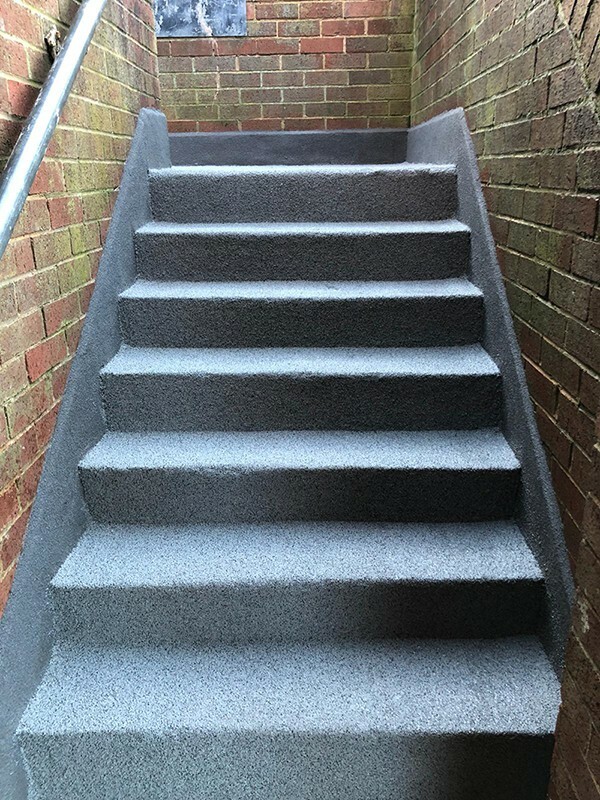 The existing asphalt floor covering of this residential block of flats in Northampton had de-bonded from the concrete causing water ingress from the walkways into the flats below. 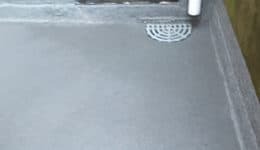 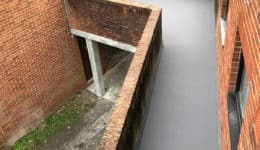 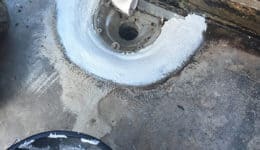 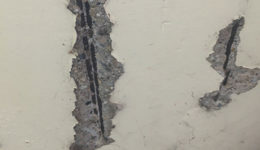 The drainage gullies were also broken and caused saturation of the concrete floor slab leading to oxidation of the steel reinforcement, with water dripping through the concrete slab. 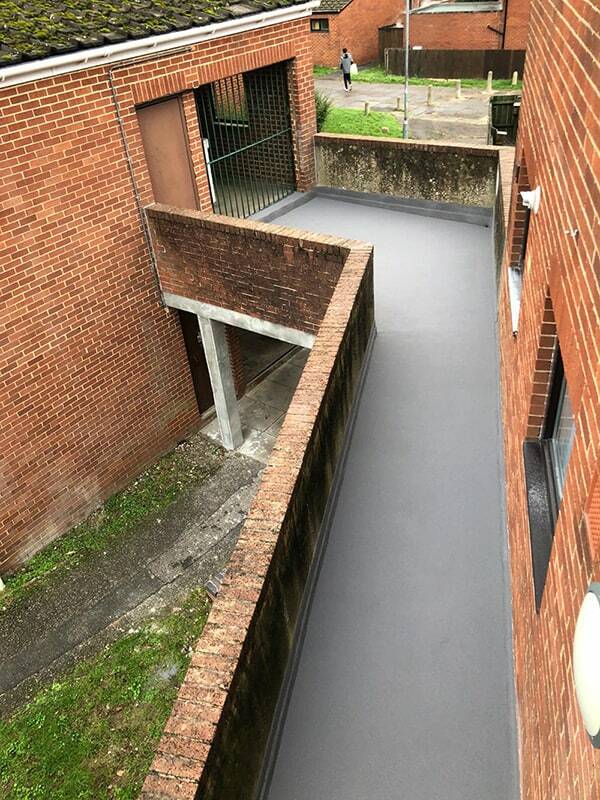 The existing asphalt was removed from the balcony to expose the concrete walkway including the non-slip tiles. 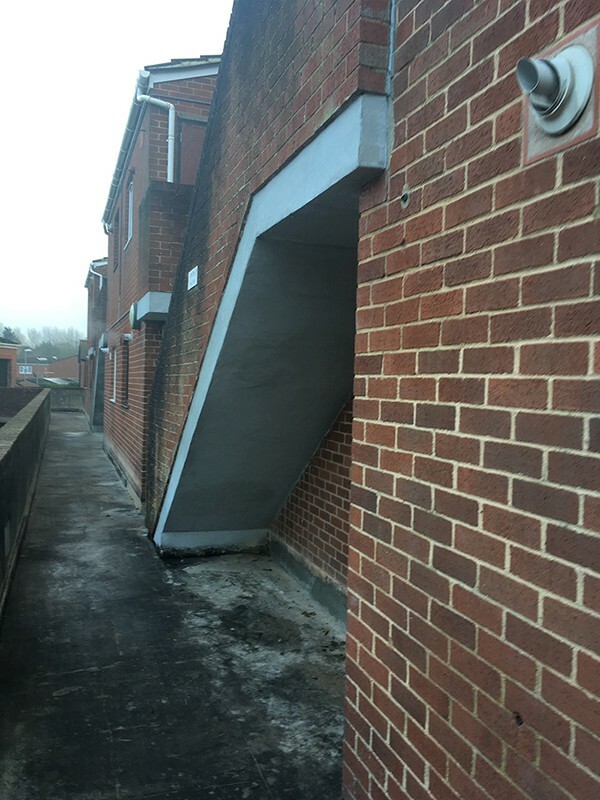 The existing gullies were removed /along with the existing downpipes to be replaced with new. 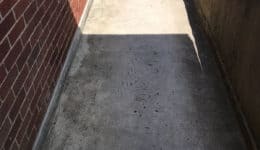 This will allow excess rain water to drain away and prevent it from escaping into the concrete walkway. 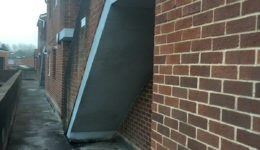 The spalled concrete from the underside was cut back to reveal the oxidised steel. 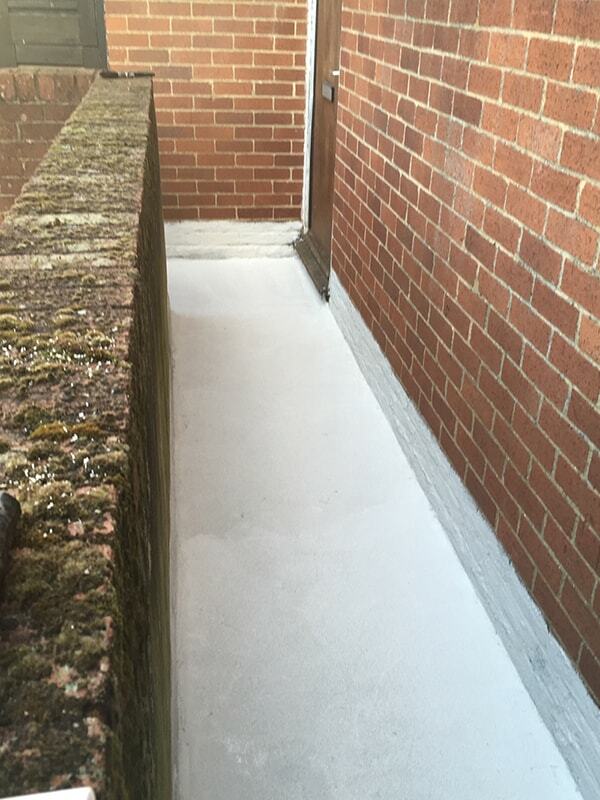 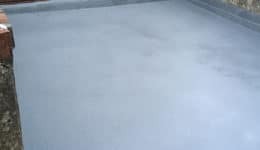 This was repaired using the Kimia Betonfix Monolite R – Rapid Cure Concrete Repair Mortar from Steadfast. 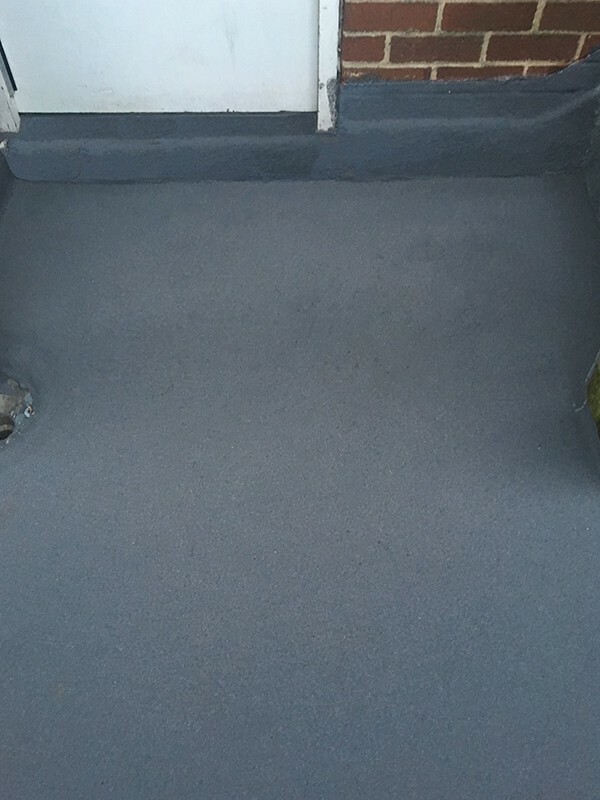 A new fairing coat was applied to all concrete surfaces under the second-floor staircases and balconies. 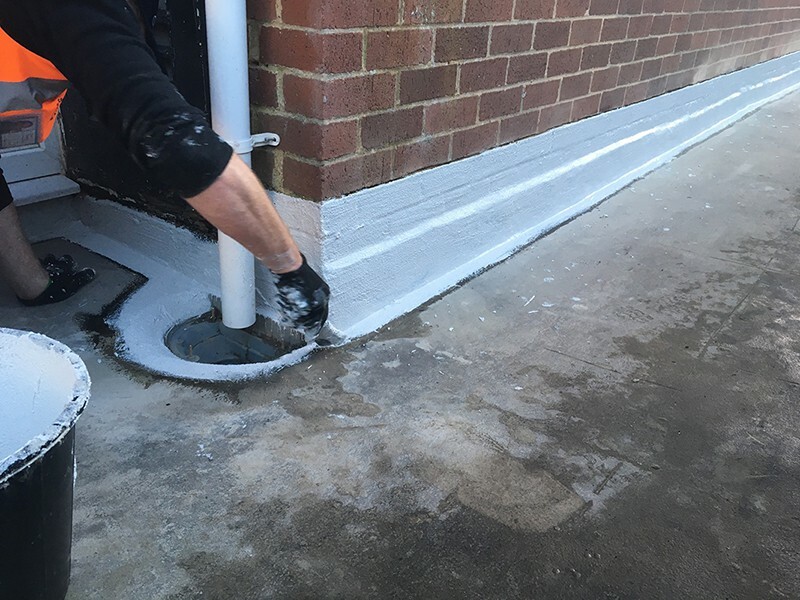 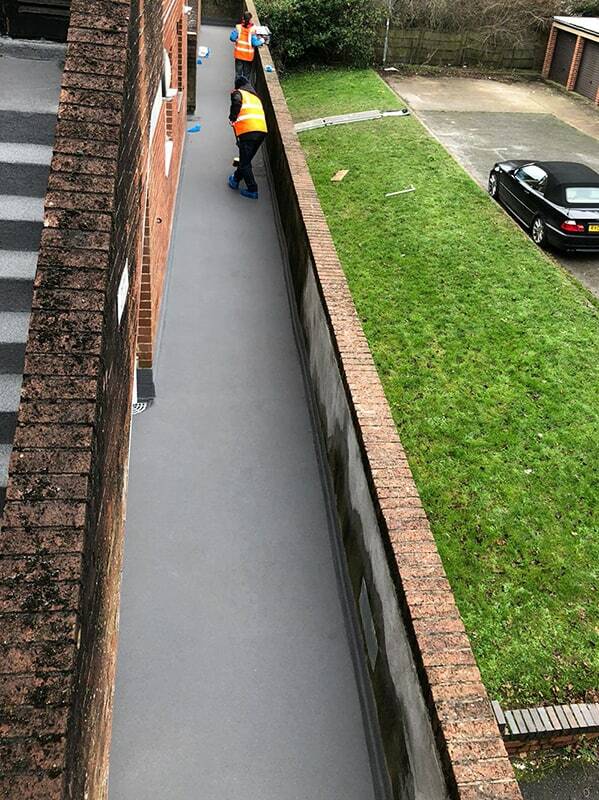 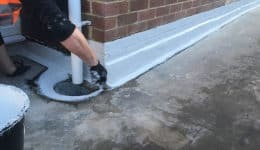 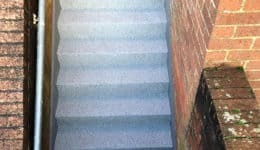 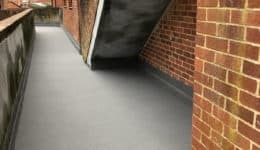 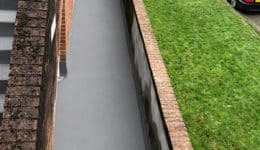 A new waterproof non-slip coating is to be installed using Steadfast’s Polyac Rapid System by Resiplast. 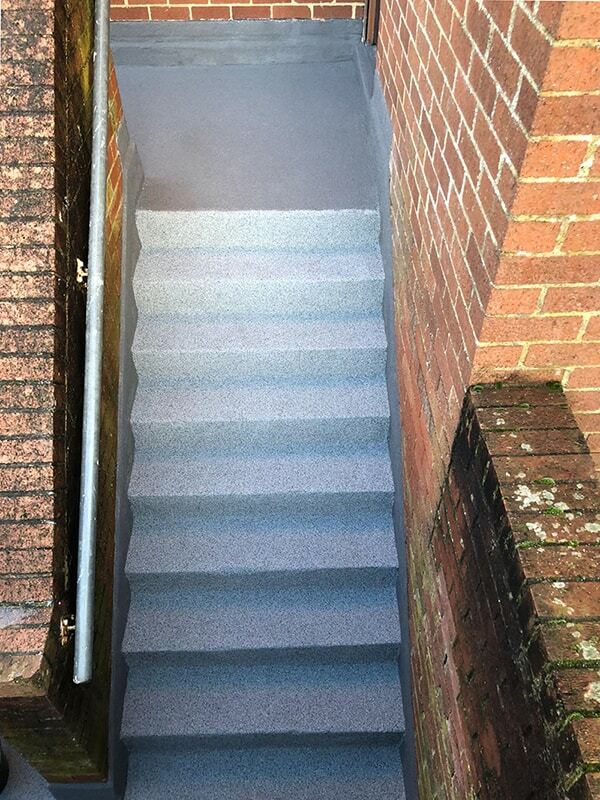 The fast cure system was installed to all surfaces including upstands, stairs and second floor balconies. 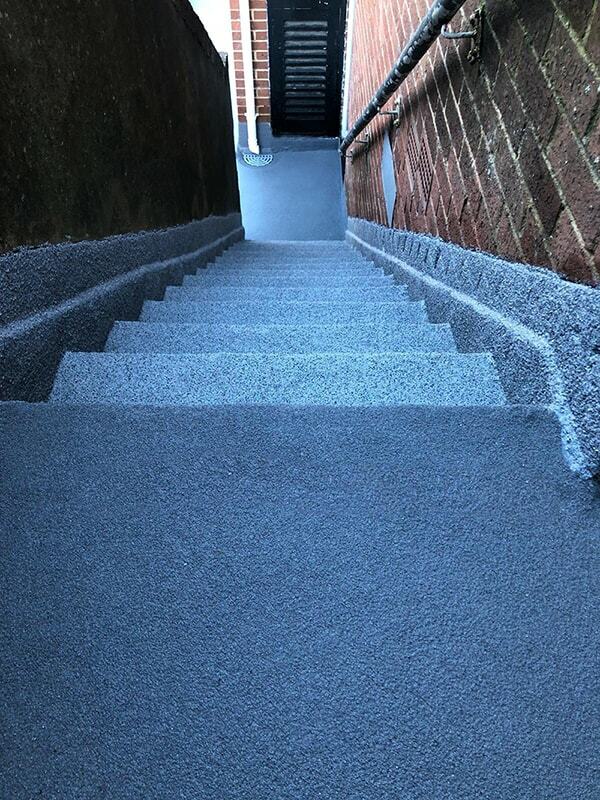 The client chose the new floor covering colour from the extensive range that Steadfast provided. 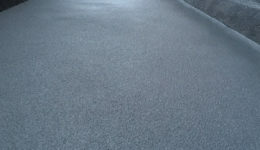 The Polyac Rapid system was chosen for its fast curing, durable and non-slip characteristics. 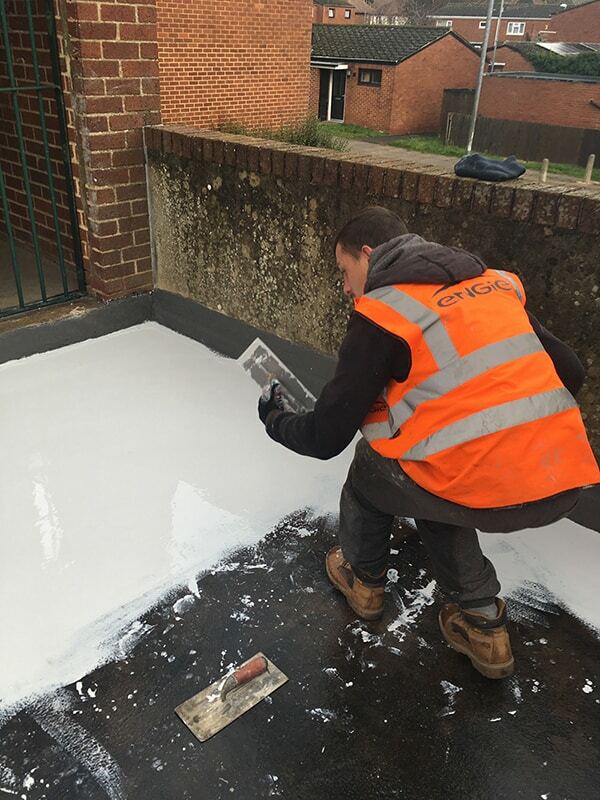 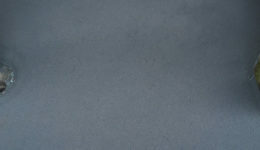 With only 30 minutes of drying time between each coat, disruption for the tenants was greatly reduced. 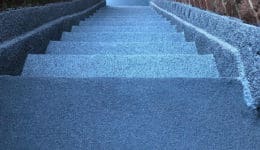 Where appropriate Newman’s use the latest technologically advanced products to reduce cure times and therefore disruption. 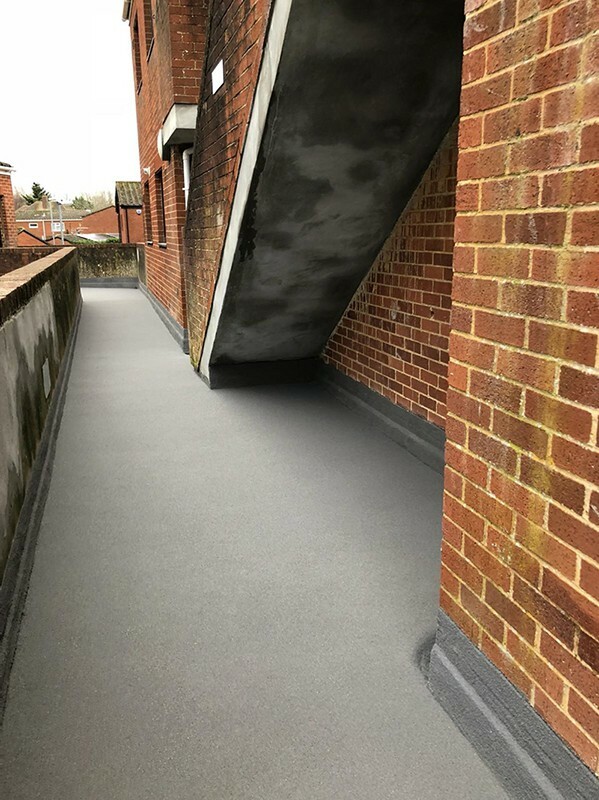 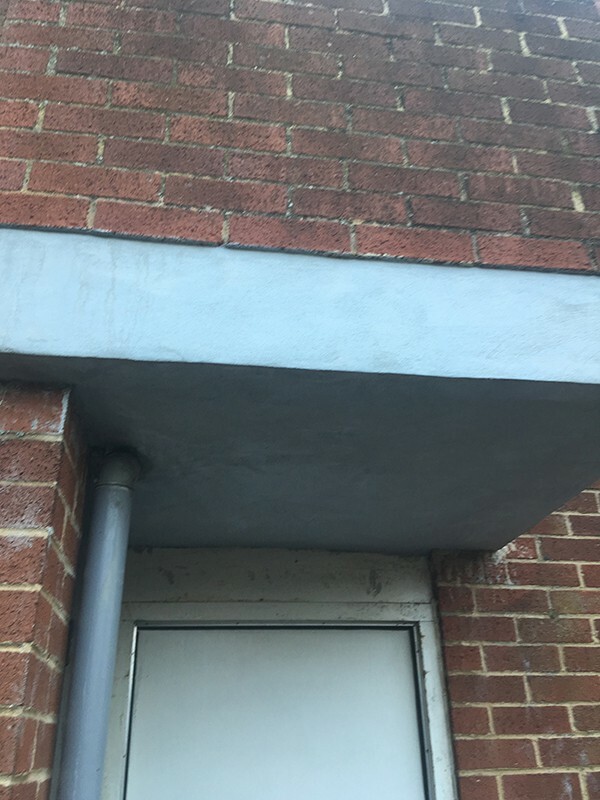 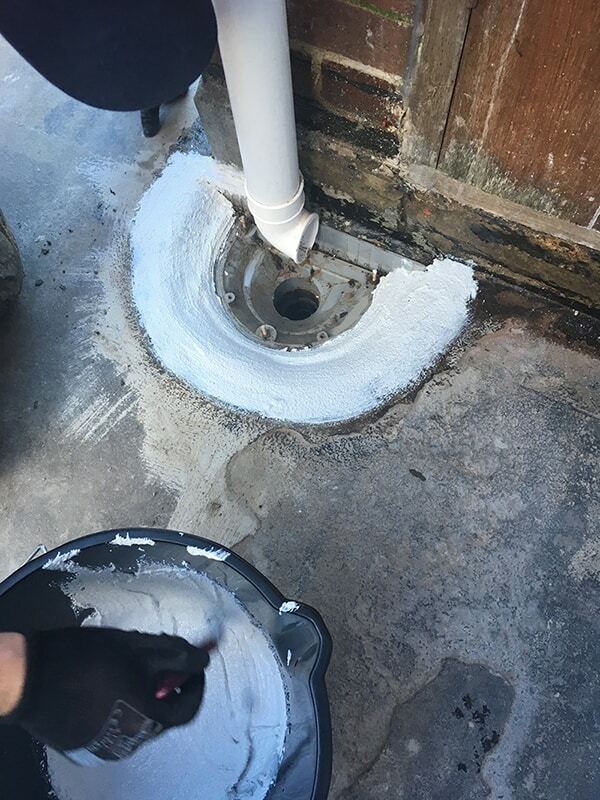 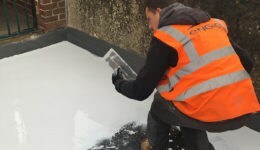 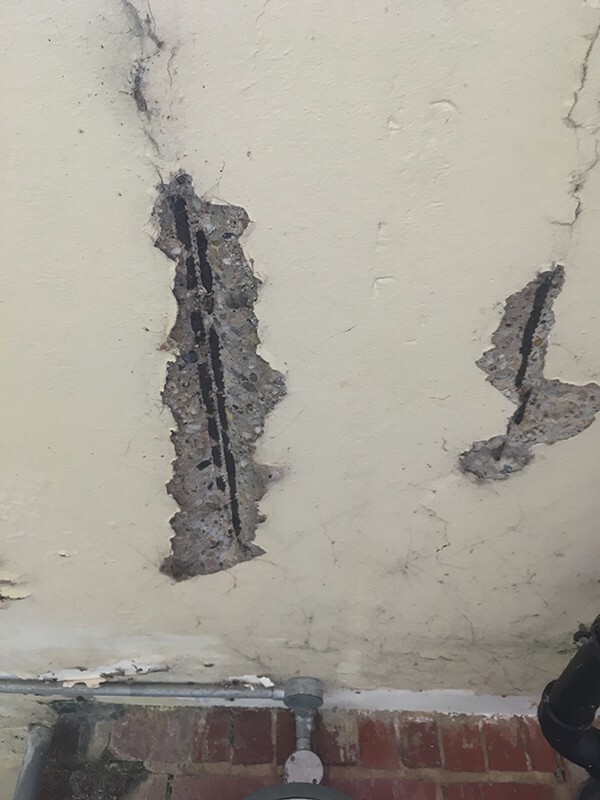 This includes Betonfix “one bag” concrete repair system which uses additional fibres to provide additional strength and has two options: Monolite R – rapid cure or Monolite N – normal cure, we were able to provide the client the best possible solution to keep the tenants happy. 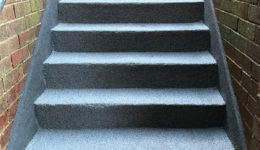 The new flooring is easy to clean and was supplied with a 10 year manufacturer’s product warranty.